Spring, TX residents don't need to book a plane ticket to Napa Valley in order to enjoy amazing wines and wine tours. Just outside of Houston, one can find a number of vineyards and wineries that boast award winning wines produced locally. MK Limo offers limousine wine tours to those who consider themselves connoisseurs and novices alike. There is no more comprehensive and fun way to learn about the region's wines and wineries. With luxury chauffeured transportation and VIP service, our wine tours make the perfect date idea or group activity for adults of all ages. ​The landscape surrounding Spring, TX makes a scenic setting for vineyards and wineries. As you proceed on your wine tour, you can take a break away from the city life and enjoy beautiful views of the countryside from the comfort and luxury of your limousine. See the hidden treasures that lurk just outside your city limits on your way to some of the finest wineries in the country. MK Limo attends to your transportation so you can enjoy better views of the Texas landscape around you. Relax and stretch out inside the limo as you take in the sights and sounds of this beautiful region. 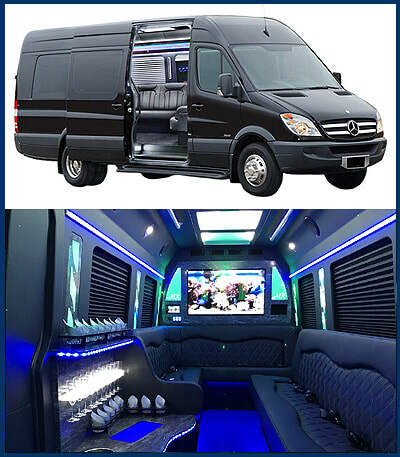 Our spacious limousines and party buses are the ideal transportation solution for groups of all sizes. Why cram your group into a small car when you can enjoy comfortable seating, ample leg-room, and a bevy of amenities inside a limo from MK Limo? Our chauffeur service allows you to relax and enjoy a day of fun and activities with your date, family, or friends. Our wine tours make the perfect day trip. Feel as though you are on vacation without straying too far from home. We will ensure that you are well attended to with luxury transportation and impeccable service. Even as a Spring, TX local, it can be tricky to know where to go and how to find the best wineries in the area. MK Limo provides you with our expert and knowledgeable services to ensure that you and your party find your way to the top wineries in the area. Our wine tours will take you to the hottest spots in the area for wine tasting and other events. Learn about the region's wines and find new favorites. Exploring the wine offerings in the Spring, TX area can be easy, fun, and luxurious with our limo service at your assistance. Half the fun of a wine tour is tasting new wines and finding new favorites. Let yourself indulge for the day when you call MK Limo for our wine tour service. We provide you with private luxury transportation to ensure your safety and comfort throughout the day. Relax and share in a day of wine tasting and other activities without worrying about operating a vehicle afterwards. Our limo service is reliable, convenient, and comfortable to maximize your enjoyment.